Located in Huntsville, Muskoka, Ontario. os·te·op·a·thy, by definition, is a branch of medical practice that emphasizes the treatment of physical disorders and ailments through the manipulation and massage of the bones, joints, and muscles. The profession was established in 1874, founded by physician/surgeon Dr. Andrew Taylor Still with a principle philosophy that the body has the ability to heal itself. The Osteopathic Manual Practitioner has a deep understanding of how the body’s systems are interrelated, and how to detect dysfunction. By using hands-on, non-intrusive techniques, Osteopathy focuses on restoring those natural functions to support mobility and health. Osteopathy can be used as preventative or corrective medicine. It maintains quality function of all systems and supports the body’s natural relationships. It can effectively treat health issues such as: Chronic pain, sports injury, arthritis, asthma, sciatica, headache, carpal tunnel, postural problems, digestive issues, sleep issues, and aggravated psychosomatic illnesses. Manual Osteopathic Practitioners regularly see patients that have been injured from work, home, or as a result of sports. Denice received her Diploma in Osteopathic Manual Therapy from the Canadian College of Osteopathy in November, 2017. The techniques, methodologies, and principles of osteopathy are incorporated into all of her treatments. In 2006 she graduated with honours in Massage Therapy from CDI College. She was also certified in Active Release Techniques in 2008. Why is Osteopathy your chosen practice? Denice: Massage therapy alone was not giving me or my clients the results I wanted. My clients would leave feeling great after a treatment, but didn't always experience long-term improvement. The science (and results) of Osteopathy opened up a new avenue of effective treatment for my own health and, most importantly, for the clients that I treat. Denice: Believe in your own magic! Colleen has had her hands on the art of rehabilitative medicine and manual therapies for over 16 years. Her focus is on supporting health and restoration through creating mobility and function in the body. She is both a physiotherapist and an award winning osteopathic manual practitioner. Colleen practices in both Kitchener/Waterloo and Muskoka markets and is now happily calling Muskoka home. Colleen: I am a lifelong learner and have always been exploring health and wellness at its deepest roots. Osteopathy was a natural extension of practice for me beyond physiotherapy. Colleen: Embrace life and be well! Muskoka Osteopathy practices out of Alternis, a wellness hub located in the Huntridge building at the corner of Howland Drive and Centre Street North. Upon arrival, we ask our patients to please be comfortable in our waiting area and we will greet you as soon as possible. All initial and subsequent visits begin with an intake interview, where we discuss your health history, current issues, and wellness objectives. Our goal is to work with our patients on their journey to better health. ​Please dress comfortably for maneuverability. 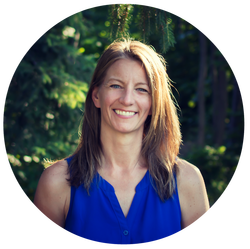 "As a physically active and generally exhausted professional living in Muskoka, I have had years of chiropractic care and massage therapy. I was recently introduced to Osteopathy for support with some chronic pain and asthma. The experience was incredible. My practitioner took the time to really understand my lifestyle and dug deep into my health history. Since treatment, the inflammation and the tension in my neck/shoulder have subsided, helping me feel much more balanced, rested and, vital."